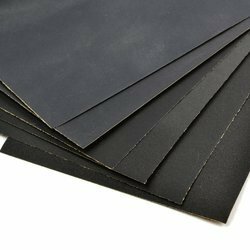 Offering you a complete choice of products which include ajax waterproof paper sheet, ajax waterproof emery paper, water proof paper, silicon carbide wpp- jawan, ajax sukha paper plus sheet- cr661 and jawan premier latex wpp. Premium quality wet strength waterproof paper with Silicon Carbide grain for excellent cutting and larger sanding area in wall, wood and metal. Can be used in wet / dry for both hand and vibratory sanding / finishing of wall, wood and metal applications in engineering industries. 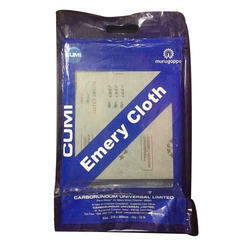 Sheets CUMI offers a wide range of sheet products for hand sanding and for sanding with hand held power tools. Specially designed products for sanding / finishing different materials are available for wet or dry application. 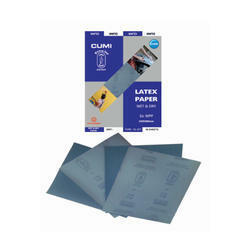 Products with different types of backing - paper, cloth is available to suit various applications. By understanding the needs of patrons, we are presenting a quality approved spectrum of Cutfast SIC Water Proof Paper in the market. 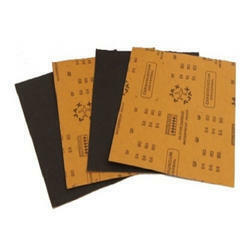 Premium quality high wet strength, tear resistant waterproof paper with Silicon Carbide grains for excellent cutting and larger sanding area in wall, wood and metal. 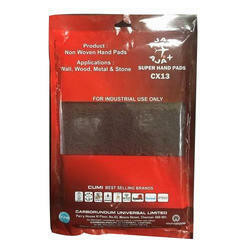 Can be used in wet / dry for both hand and vibratory sanding. Special grain, bond combination gives excellent finish in car repair and automobile body paint applications. Specially treated backing with advanced bonding system designed for automobile body - putty and paint. Tough cloth backing with emery grains for de-rusting and finishing of metals by hand.